Six downtown Chicago hotels have come together to form the River East Collection, giving groups that are too small for McCormick Place but too large for one hotel, options to make meeting in Chicago a reality. Sheraton Grand Chicago, Loews Chicago Hotel, Embassy Suites Chicago Downtown Magnificent Mile, Hotel InterContinental, W Chicago - Lakeshore and Doubletree Chicago Magnificent Mile have joined forces to create this neighborhood collaboration and accommodate groups between 1,500 and 2,800. Peak guest room blocks for target groups will range from 1,500 to 2,800 with the ability to host 4,000 guests for general session in the Sheraton Grand Chicago&apos;s 40,000 square foot ballroom, which is the largest ballroom in Chicago. Flexible meeting spaces are available at each individual hotel to accommodate breakouts, affiliated meetings and unique events. All hotels are within walking distance of each other and the Magnificent Mile, with the option of transportation credits. All of the hotels&apos; national sales teams are armed with details on the new collaboration that will make courting groups of this size possible. Larger exhibits, functions and events can be hosted at Navy Pier or Sheraton Grand Chicago, while attendees can stay at any of the properties. The River East Collection is also exploring dine-around programs and reciprocal perks (show your room key for a food and beverage discount or the like) across the group of hotels. The Sheraton Grand Chicago is within walking distance of Navy Pier, Michigan Avenue shopping, and Millennium Park. 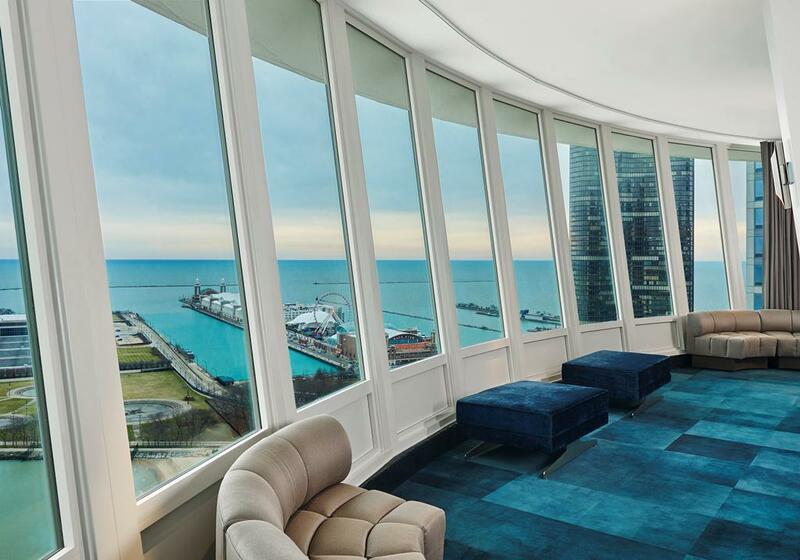 The hotel&apos;s 1,218 guestrooms and suites have completely been renovated and offer iconic views of the Chicago River, Lake Michigan or the city skyline. With a total of 125,000 sq. 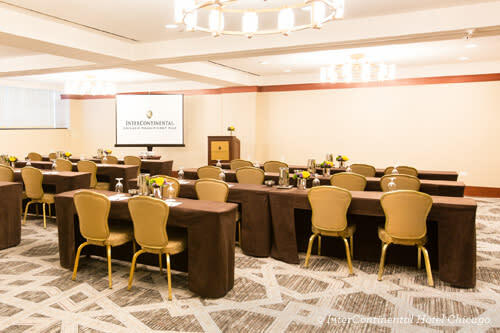 ft. of stacked aboveground meeting space, including the 40,000-sq.-ft. Sheraton Chicago Ballroom, the largest in Chicago, the hotel can accommodate meetings and events from 10 to 4,600 people. The InterContinental Chicago was built in 1929 and is situated right on the Chicago Magnificent Mile, one block north of the Chicago River. The hotel features 792 newly renovated modern guest rooms and over 45,000 sq. ft. of conference and banquet facilities. The space ranges from contemporary to elegant design and most rooms offer natural light and great views of the city. Onsite dining options include Michael Jordan&apos;s Steak House, ENO Wine Bar and Starbucks. The 455 spacious, newly renovated suites feature private bedrooms and separate living areas. Complimentary amenities include cooked-to-order breakfast, evening reception, and state-of-the-art fitness center. The hotel features 20,000 sq. ft. of contemporary meetings space anchored by a sweeping 6,200-square-foot Chicago River Ballroom. 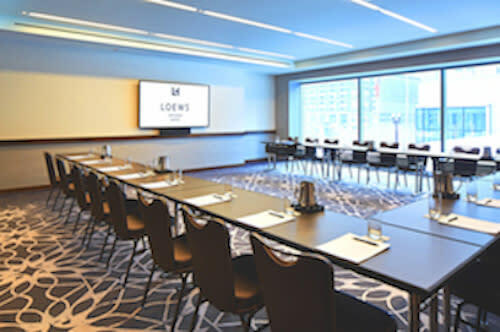 Newly opened as of March 2015, the Loews Chicago Hotel occupies the first 14 floors of a 52-story tower located just one block north of the Chicago River and two blocks east of North Michigan Avenue in the heart of Streeterville. The newest addition to the neighborhood features 400 guestrooms, including 25 suites, more than 29,000 square feet of innovative meeting space, a luxury spa with three treatment rooms and a state-of-the-art fitness center with a 75-foot lap pool. Sporting a $38 million makeover, the W Chicago Lakeshore overlooks Lake Michigan with 520 guest rooms, 23 suites, and 13,700 square feet of dynamic meeting space-including Altitude Ballroom, the only meeting room in Chicago with an unobstructed panoramic view of downtown and Lake Michigan. Located two blocks from Michigan Avenue, DoubleTree by Hilton Hotel Chicago Magnificent Mile features 500 guestrooms and over 16,000 sq. ft. of function space. 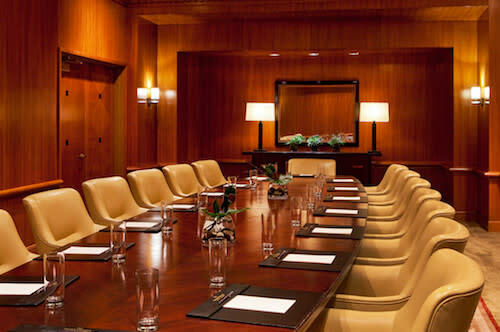 The excellent location is ideal for business meetings and events in the city. Host a meeting, presentation or social event in one of 17 function spaces. Learn more about the River East Collection.